Great offer that i had discovered from the posting on Connected Internet that I m sure its a gift that will keep your mom sits on the PC for hours. Onetipaday.com is featuring a great offer from PopCap.com, who are giving away the deluxed version of Bejeweled, which normally costs $14.95, for free until Wednesday as part of a Mother’s Day promotion. I will certainly get a copy for my mom who is a big fan of similar casual games. She will definitely be hooked on this for hours. 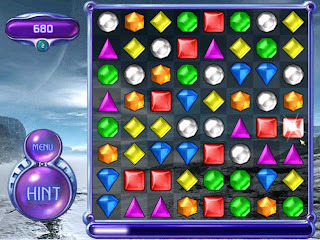 - Go to the Bejeweled Deluxe site and click the Buy Now link located on the middle of the page. Once you’ve done this you will get a download link. Remember to write down your order number as you’ll need it to register your software.